Internationally renowned Tropfest short film competition has risen from the ashes as a new not-for-profit entity which will focus on attracting female filmmakers. This comes on the back of having just one female finalist in their 2016 shortlist. So why do we still need to focus on attracting female filmmakers in our industry? Well, when I first started in journalism an editor said to me, “stats, stats, fill the piece with stats.” Now we all know stats and journalists can be a heady mix, but sometimes a good set of numbers can really hit home. 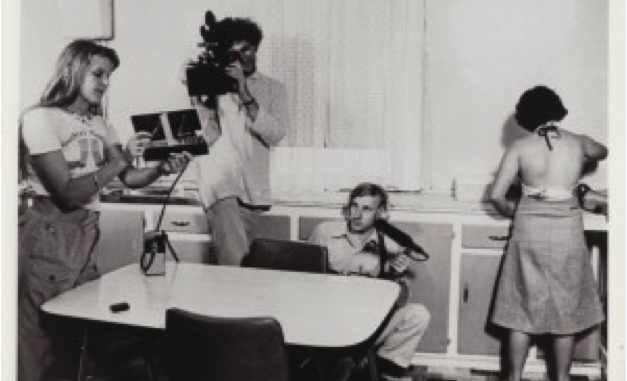 In 1971 64% of people working in the film industry in Australia were men, and 36% were women. In 2006 it was 62% men and 38% women. A 2% shift in 35 years. The very male domain of television in 1971 had 72% of men and just 28% women. Yet surprisingly in 2006 it was 57% men to 43% women. What really illuminate these figures are the roles women play in this sector. While men still dominate key areas, women are forging ahead in being make-up artists and production assistants. Drill down further and you find fewer women are paid wages in the higher echelon but in the lower end of the scale we are ahead of them. For many women who work in this industry, these figures aren’t that surprising. We see it every time we walk on set. But as I have written here before, without an even representation in the industry we just won’t get fair representation on our screens. In the golden days of feminism, under the Fraser government Women’s Media Units sprung up around the country. Their focus was to develop women in the industry and produce films women wanted to see. Finding a comprehensive history of the Units is hard. But thankfully Kerry Heysen was able to shed some light on South Australia’s at a talk commemorating the South Australian Film Corporations 40th Anniversary. The Women’s Film Unit began in 1975/76 with around $90,000 and in those days that was a lot of cash. Their remit was clear to produce 4 films and find out what women wanted on their screens. Back then the main stay for women’s television was daytime TV, so Kerry and her researchers took in a lot of soap and magazine programs. They conducted focus groups with women and at the end of their year (because funding was granted for just one year) they took their findings to the broadcasters. While the broadcasters (made up of men) were very appreciative of what they uncovered, they informed Kerry they knew best what audiences wanted. Kerry says now, over 30 years later she is seeing the lifestyle programs women wanted then emerging on our TV’s. Great, hopefully in 30 years time they will be broadcasting the shows we really want today. The films the Unit produced may not be up there with the all time top 5 films of Australian cinema, but their creators are up there. Most notably were Penny Chapman, one of Australia’s leading drama producers and Gillian Armstrong AOM, Australia’s first woman to direct a dramatic feature. Of course there was Kerry herself who has walked the Oscars red carpet twice for films she has produced. While hearing about the women’s unit was really inspiring, it was also saddening. Why does it no longer exist today? When we see initiatives like that of Tropfest’s it is hard to argue against them. And after looking through those stats there sure is a strong argument for bringing back Women’s Film Units to ensure we don’t go backwards.